Thomas Hübl is a modern mystic, a spiritual teacher whose work integrates the core insights of the great wisdom traditions with the discoveries of contemporary science, illuminating both with his profound understanding. Thomas’s teachings offer a unique approach for living as a mystic in the “marketplace” of human activity. His work combines somatic awareness practices, advanced meditative practices, a sophisticated analysis of cultural architecture, and transformational processes that address trauma and shadow issues. His teachings aim to guide practitioners toward a deeper level of self-awareness—from an ego-centered worldview to a life of authentic expression, service, and alignment. Since 2004 Thomas has been leading workshops, multi-year training programs, and larger events and festivals. A sought-after private advisor to social entrepreneurs, business leaders, government officials, and spiritual aspirants, Thomas is a regularly featured speaker at conferences and workshops worldwide. Do I feel at home within myself? What is my basic feeling of security and belonging? Is my family of origin a positive resource for me? How can I today create a warm home? Have I developed a healthy core from which I can enter into contact with the world? In the first module workshops we will explore our basic programming that arose during our early childhood bonding process and determine to what extent it influences the degree of intimacy and authenticity in our relationships today. How is a fear of bonding expressed, and what is the balance between giving and taking within the context of relationships? We will explore the deep roots of fear in our lives, strengthen our contact with ourselves and experiment with how we can unfold our own expression in life. Do I feel at home in my home country? How do I relate to Germany after the experiences during the Third Reich, during the war, in divided Germany? How can I feel at home in a world that is changing rapidly through the climate crisis and technology? And how can I, as a local citizen, develop a global awareness? In the workshops of the second module we will focus on the global context and span the range from home country to home planet: The changes in the world confront us with collective traumatizations at many different levels. This workshop is conceived as an East-West dialog about unconscious dynamics from the time when Germany and Europe were divided. How does what used to be a divided Germany affect the present? How are different influences and values still today reflected in the interactions between individual and collective? In guided large group processes, small group work and Voice Dialogues, we become aware of nuanced differences and explore how we can use traumatizations for a collective learning process. We will reflect on how opportunities can arise from injuries, thus increasing resilience. Flows of information at lightning speed, mobility, technology … our neighbors live all over the world. A global village has arisen. Social and religious conditionings that separate no longer make sense. The collective development requires us to be able to act as a global unit. A new evolutionary necessity has arisen: Collaboration instead of alienation. In the workshop we will deal with our role as global citizens and explore our fears and hopes and the responsibility that goes with them. When are we overburdened or dismissive, and when are we excited and inspired? Have we found our place in the new forms of society or do we feel homeless? Can we authentically live our purpose and make a meaningful contribution in the world? Can I leave the map behind and be at home in the present? Do I have access to the mystical space of consciousness in which I am living my life? Am I leading an inspired, creative and innovative life in this inner connection? Is “the Sacred” a part of my resources in life? In the workshops of the third module, we will experiment with the possibilities of how to lead an essential life that arises from the original creativity of the Universe. We will explore to what extent we feel embedded in the larger context and how we can use a spiritual practice as a resource for our daily challenges. Can I be at home in silence, in presence, for example in meditation or prayer? And can I find home in an inner connection, in the deepening of my inspiration? To what extent do I feel at home in the changing movement of life? Through meditation, exchange and talks, and by going inside we will explore finding home in God as an immanent and transcendent power, access to innovation and inspiration, as well as to the principle of divine effectiveness. Dr. Christina D. Bethell is a Professor at Johns Hopkins University in the Bloomberg School of Public Health, where she advances a new integrated Science of Thriving to promote early and lifelong health of children, youth, families and communities. 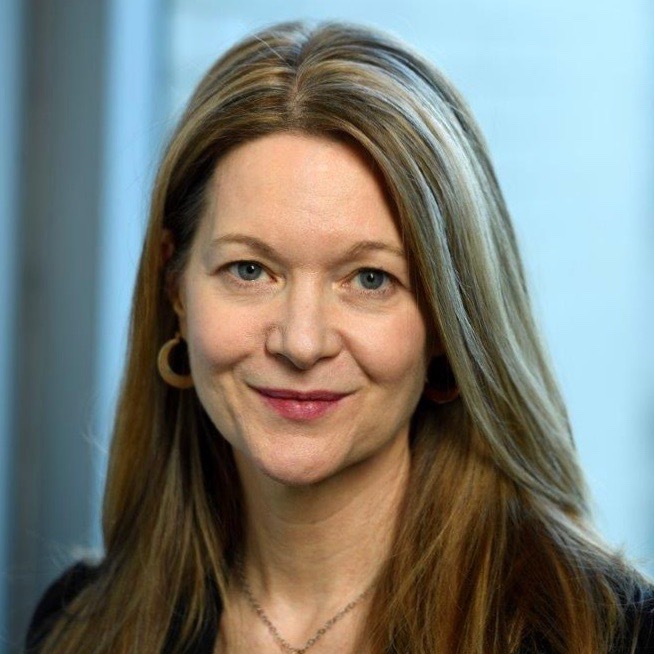 Christina D. Bethell is a Professor at Johns Hopkins University in the Bloomberg School of Public Health, where she advances a new integrated Science of Thriving to promote early and lifelong health of children, youth, families and communities. With roots in culturally-competent, community-engaged approaches to assessing and improving health and well-being, she is the founding director (1996) of the national Child and Adolescent Health Measurement Initiative (CAHMI) and the Mindfulness in Maternal and Child Health consortium. This work operates to promote “top down” (context sensitive knowledge and data to reveal the big picture and possibilities), “bottom up” (methods to ensure conscious, real time feedback to track progress around shared vision) and “inside out” (relationship-centered strategies to ensure co-creation and innovations for real change). She led the design of a widely endorsed national agenda to address childhood trauma and promote healing and flourishing. Christina earned an MBA an MPH from the University of California, Berkeley and PhD in public policy from the University of Chicago. She teaches Mindfulness Based Stress Reduction and Healing Through Revealing methods and is an avid student of transparent communication, presence and human evolution. She writes poetry, dances and believes that connection with ourselves, life and others is the source of our creativity and joy. Karen O’Brien is a Professor in the Department of Sociology and Human Geography at the University of Oslo, Norway. She is also co-founder of cCHANGE, an initiative that supports transformation in a changing climate. With 30 years of experience in climate change research, Karen’s work uses an integral approach to explore and promote deliberate transformations to sustainability. Her current research emphasizes the role of creativity, collaboration, empowerment, and narratives in adaptation and transformation processes, and explores the role of paradigms in generating conscious social change. She has participated in four IPCC reports and was on the Future Earth Transition Team and Science Committee from 2012-2017. In this morning session, we will focus on the latest science on climate change and discuss its implications for both nature and society. Though the science is sobering, it shows that there is a dramatic difference between a global warming of 1.5C versus 2C, 3C, or more. The question we will next explore is not whether, but how we can transform at the rate, scale, speed and depth that is called for by global change research. We will consider relationships among the practical, political, and personal spheres of transformations. Shifting the focus from “climate change as an environmental problem” to “climate change as a relationship problem,” we will consider how both wider and deeper responses can contribute to the transformations needed to create a flourishing home on this planet. Brian Thomas Swimme is a professor at the California Institute of Integral Studies, in San Francisco, where he teaches evolutionary cosmology to graduate students in the Philosophy, Cosmology, and Consciousness program. He is the most widely translated academic writer in America, with 25 books translated into some 30 foreign languages. 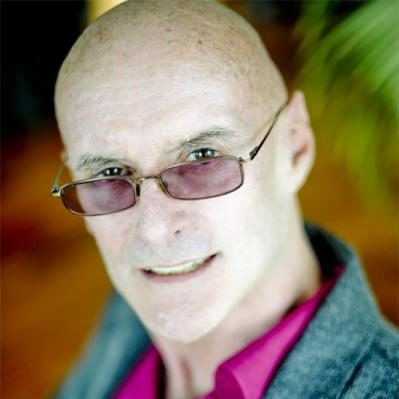 Ken Wilber currently lives in Denver, Colorado, and is still active as a philosopher, author, and teacher, with all of his major publications still in print. Ken is the originator of the world’s first truly comprehensive or integrative philosophy, aptly named “Integral Theory”. As Wilber himself puts it: “I’d like to think of it as one of the first believable world philosophies” — something that is becoming increasingly necessary in order to navigate and thrive in today’s world. Ken Wilber is also the founder of the Integral Institute, which is the first organization fully dedicated to advancement and application of the Integral Approach in relation to contemporary global issues. It was formed in collaboration with over 200 scholars and experts, specializing in education, politics, business, medicine, psychology, spirituality, as well as, law and criminal justice. Prof. Dr. Barbara v. Meibom is a Political and Communication Scientist, psychosynthesis trainer, coach and head of Communio-Art of Leadership Institute. Since many years she works with collective fields aiming to contribute to the healing of intergenerational traumata. Prof. Dr. Barbara v. Meibom is a Political and Communication Scientist; psychosynthesis trainer, coach and head of Communio- Art of Leadership Institute. Since many years she works with collective fields aiming to contribute to the healing of intergenerational traumata. There has been much talk about war children and war grandchildren. We thereby usually think of the consequences of the “Thousand-Year Reich.” We often overlook the fact that there are generations of children of the Cold War, i.e. people who grew up with the East-West split in their own country. There is a growing awareness that this has led to deep splits to this day. They have to do with breaches of identity, feelings of having lost one’s homeland, but also with ideological overloading, family traumas and a persistent lack of knowledge about one another. This legacy is sharpened by a sustained prosperity gap and by how the reunification of the two German parts took place after 1989. These upheavals are blocking the success of the integration and synthesis of East and West. During the workshop there will be the opportunity to encounter the different narratives mindfully and to seek ways to bring about a successful synthesis of East and West. The workshop helps come in contact with blocked energies and pave the road for productive interactions. 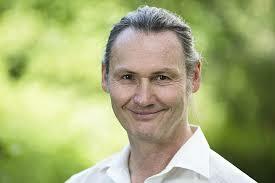 Dr. Sven Werchan is a medical doctor, Gestalt-therapist and trainer for integral nutrition. Beside his work as doctor and integral trainer in the field of nutrition he feels drawn to collective healing out of his german family history. The insights from working with Thomas Hübl and many other sources influenced and inspired a workshop “We, the children of the cold war. Looking for the best in East and West” (with Prof. Dr. Barbara v. Meibom) last year in Dresden. 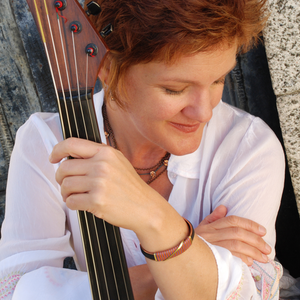 Jami Sieber‘s music transforms from the deepest stillness to moving melodies and rhythms. She transforms her solo instrument into an orchestra of sound that opens the heart, defies the mind, and sets the body dancing. Her life-long musical path moved from classical to folk, to rock/pop, to world and improvisation. Since launching her solo career, Sieber has entered into dynamic collaborations with an extraordinary spectrum of dancers, actors, poets, visual artists, improvisers, vocalists, and instrumentalists that span the globe. Her compositions have been used for film, (PBS American Masters – Dorothea Lange: Grab a Hunk of Lightning, Queen of the Sun, Big Joy: The Adventures of James Broughton) and the popular video game – Braid. She has seven independently released recordings on her own label. Once we have entered into contact with Transparent Communication according to Thomas Hübl®, we see that it is simply a method of communication. However, in time, it can become an inner attitude, a path in life and a journey toward awakening to an ever-higher level of awareness. Susanne Ahlendorf, Markus Hirzig and Axel Perinchery are leading the workshops on Transparent Communication this year. In the workshops we will identify and deepen the principles of Transparent Communication and use them to develop our communicative and spiritual competence practically. By entering into ever deeper relationship, Transparent Communication gives rise to a great power of transformation. We deepen our contact with ourselves by refining and expanding our perception in our physical bodies, in the emotional inner world and in our thinking. This produces an ever more complex holistic contact – with ourselves, our partners and the world. Our competence to listen and feel can be substantially expanded. Unintegrated parts can become conscious through this kind of perception, and contact can be made with them. Everything that enters into relationship can heal. 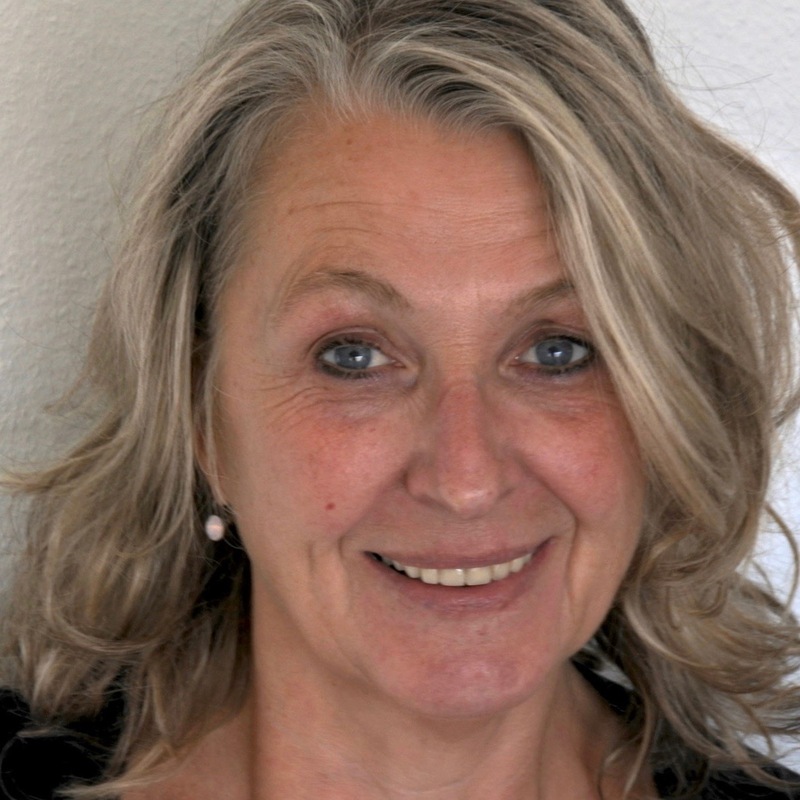 Since 1988 Susanne Maria Ahlendorf has been providing seminars and further training for personality and consciousness development, such as Frauen RAUM (Women’s SPACE) annual training, Transparent Communication according to Thomas Hübl® and LernKulturZeit (LearningCultureTime) with Silke Weiß. She is a co-founder of the further training series Mysticism and Healing. She works with clients in individual and couple sessions in her own practice and via internet video or telephone. At the Academy of Inner Science, Susanne, together with Axel Perinchery trains the national and international practice group leaders regarding the Sharing the Presence Field. She is committed to realizing the principles between heaven and earth and contributing to individual and collective healing and the unfolding of potential for the future of an awakened culture. 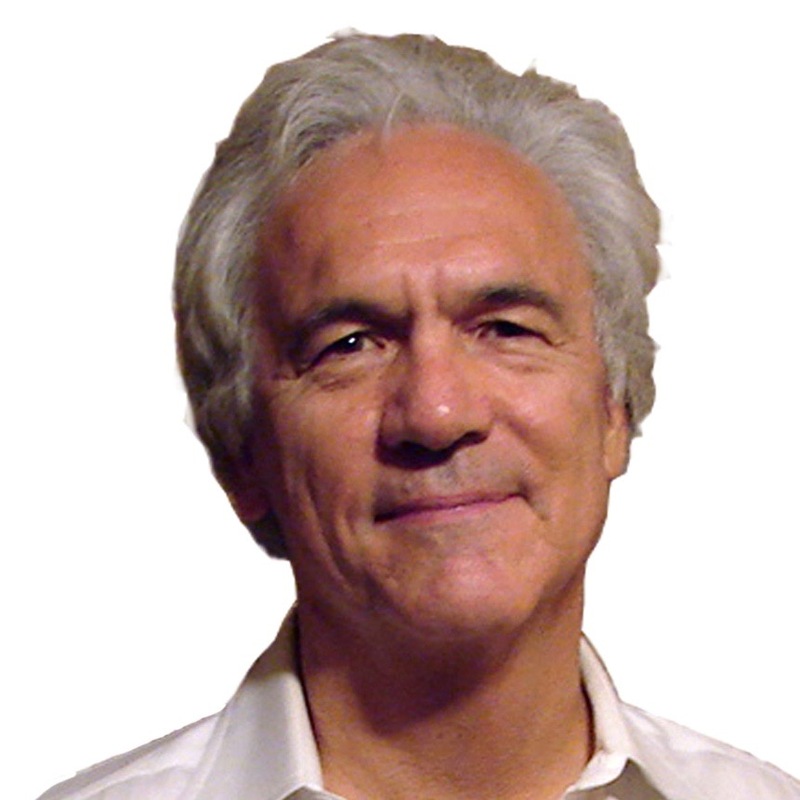 Axel Perinchery is a Trainer for Transparent Communication by Thomas Hübl and for Intercultural Communication and Integral Development of Consciousness. Axel is working internationally as a Life-Coach. At the Academy of Inner Science he is training the practice group leaders in Transparent Communication. As an assistant he is studying and supporting the work of the spiritual teacher Thomas Hübl. 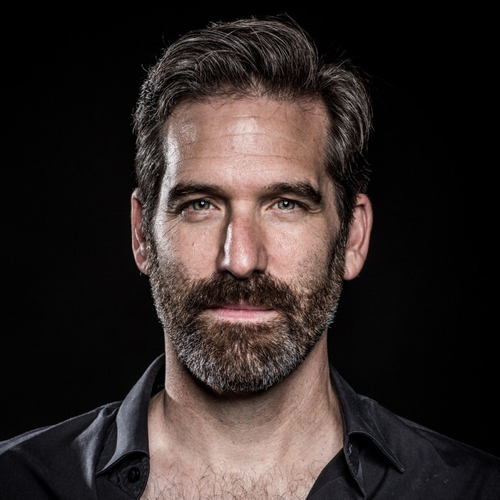 Axel is passionate to contribute to taking the next step in our development of consciousness, that both individually and as a society we need to take – and with that, invites us to dare stepping into unknown terrain. Markus Hirzig has meanwhile more than 30 years of experience in accompanying people in their developmental journey. In the beginning as a bodyworker (Osteopathy) and since some years also as a coach for unfolding potential. Since 2002 intense connection with Thomas Hübl and his work. Markus assists people in their personal processes in Thomas’ workshops. He assists in the Timeless Wisdom Training 1 and 2, is speaker and mentor in many of Thomas’ online courses. Markus is part of the assistants group since 2011 and is leading their training. Perceiving, feeling and acknowledging needs, such as protection and boundaries, belonging and contact, are important aspects of how we deal with each other. We provide a protected environment for encountering yourself and being at home in a new situation. Practicing the various aspects of Transparent Communication gives us helpful tools for contacting ourselves consciously – a safe haven from where to contact others. From a stable self-contact we expand our inner space into the world. What can I compassionately image within myself? Here, dealing respectfully with our boundaries is just as important as providing space for shadow issues or dreaming. From the space of silence, we listen to the world and let it unfold naturally. We play along without interfering. How can we remain present and retain our relatedness by internalizing Transparent Communication, also in challenging situations? TransParents stands for the lived cultural change of becoming an adult who is awakening as a parent. Since being able to relate as an adult is an important foundation not only for parents, the TransParents workshops this year are addressed to all people who are interested in increasing their ability to relate. 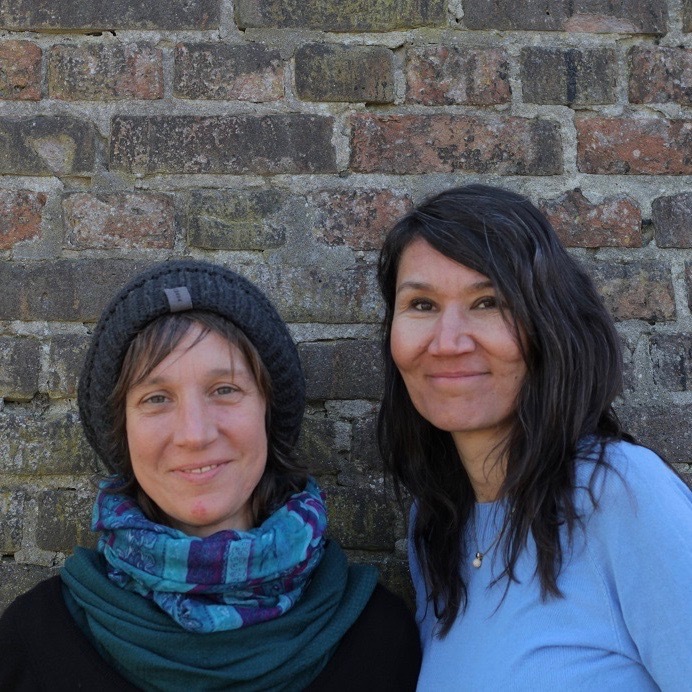 Teresa and Kirsten have been working together for five years and offer trainings and education for parents and educational personnel who are interested in this lived cultural change of being with children in a conscious way. Teresa Heidegger is a certified pedagogue, sociologist and certified trainer for non-violent communication. She is the founder of “gewaltfrei glücklich“ [non-violently happy], www.gewaltfrei-gluecklich.de. Since four years, together with Kirsten Timmer, she has led TransParents, the platform for conscious parenting, which offers trainings for parents. Kirsten Timmer is a psychologist and psychotherapist in a practice of her own, specializing in development trauma (NARM). 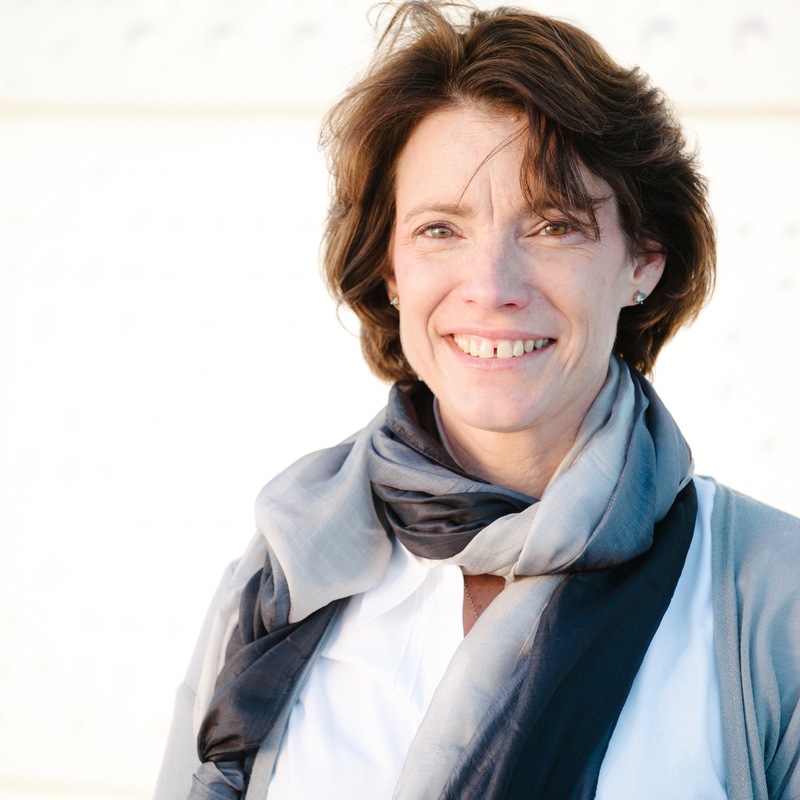 She is the founder of the Arco School, a place of cultural change aligned with the deeper principles of life, a place where children learn naturally and authentically and at the same time a school for parents, www.arco-schule.ch. Kirsten is a trainer and coach for managers who feel the calling of the heart to embody more light and carry it into their fields of activity, www.we-transform.de. What is getting in our way to find a deeper sense of home within us? We all have a longing to come home and find a sense of home within ourselves. At the same time, that is often especially difficult. During our time together we want to use our curiosity to explore what is getting in our way from doing so, and in this way come into contact with the intelligence that is operating within us. This gives us access to how we relate to ourselves and shows us how the way we relate to ourselves impacts our lives. What if we truly stop seeing our so “exhausting partnership” and our “difficult children” as problems and instead regard them as invitations to engage fully in life? What happens if the problems and our engaging with them does not hinder our spiritual practice, but specifically becomes the focus of our practice? This is often clear to us in theory, and yet everyday life keeps creeping up on us. In the workshop we will explore practical ways that can help us access and feel this new practice more deeply. 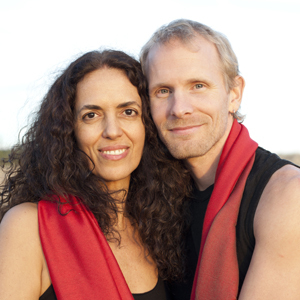 Komala de Amorim & Gregor Steinmaurer are a married couple, live in Austria and work internationally together with trainings on integral development, conscious sexuality and relationships, and embodied spirituality. Komala de Amorim is a group leader and trainer, Craniosacral Biodynamic® and Trauma therapist (Somatic Experiencing®), graduated art teacher, Voicing® (spontaneous singing) practitioner. She has been creating and leading workshops and trainings for 20 years in different countries and cultures. Her work is based on body awareness, transpersonal psychology and voice exploration, in combination with Taoist, Sufi and Tantric practices. Gregor Steinmaurer is a Systemic Therapist, Traumatherapist (Somatic Experiencing®), Psychosocial Counsellor (Dipl. LSB, Austria), Coach and Facilitator. He works in private practice and leads workshops and trainings internationally for over 10 years. Trained in a variety of methods and therapeutic modalities. Further trainings in leading edge approaches to Trauma. Long-term intensive exploration and practice of different spiritual traditions, Psychotherapy, Bodywork. In this workshop we offer an embodied experience of relating with the energy of the ancestors, through movement, expression and interaction. We will move through different layers of our ancestor’s lines, focusing on meeting the resourcing, supportive and healthy elements present in the ancestral field, reconnecting with the strength and wisdom that has been present in the past as a way to open spaces for healing traumatic and incomplete places – in the ancestral field and in the present moment. We will use elements of Systemic Ritual, Constellation and Trauma Healing to enter the ancestor’s field while including the present moment experience of being in the body – through awareness of sensations, emotions and cognition – creating a direct experience of being an inherent part of the whole web of life. This is going to be a collective and interactive exploration where everyone participates, following one´s own rhythm while sharing and creating a common field of reconnection. By relating to the past as a vital part of our present experience we receive support for the creation of a fresh future. 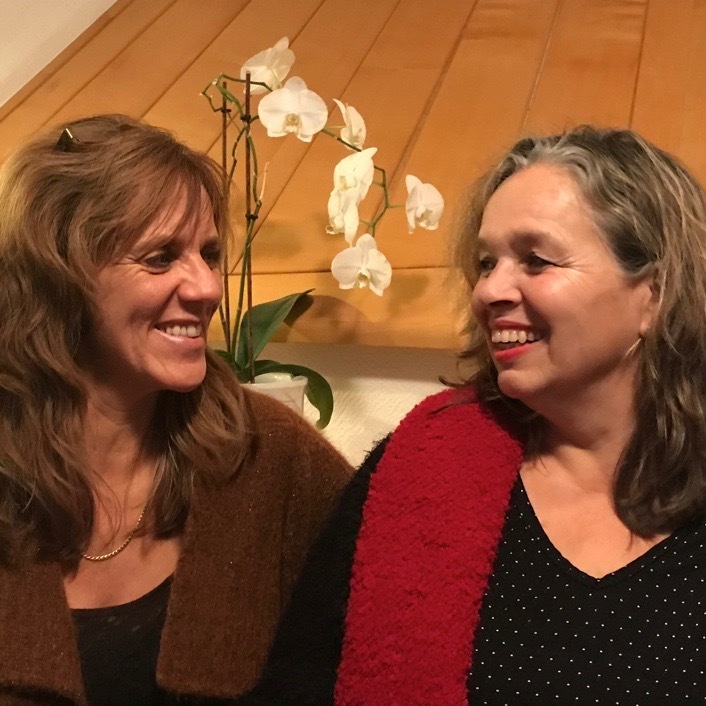 Heidi Wohlhüters & Anne Huhns workshop is devoted to our inner understanding of home and the experience of individual and collective pain caused by loss and being uprooted. Heidi Wohlhüter has for many years been working as a psychotherapist in a clinic and in private practice, supervising colleagues and treatment teams, and she educates and trains psychotherapists. In workshops and seminars she devotes herself to the development of potential and the topic of healing in the broadest sense. 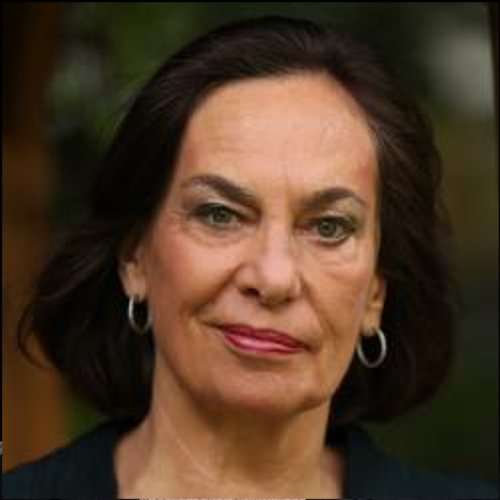 Anne Huhn holds a degree in psychology and is a psychological psychotherapist. She has been educated and trained in various humanistic therapies. For over 25 years, Anne has been guiding people in crisis and psychologically stressful situations, often with a traumatic background. In her work with individuals and couples and in the two-year training for women that she has developed, she integrates psychotherapeutic with intuitive knowledge to open up a space of growth, healing and awareness. Anne Huhn is an instructor in Timeless Wisdom, a member of the research group “Mysticism and Healing” and in Thomas Hübl’s assistance team. This workshop is devoted to our inner understanding of home and the experience of individual and collective pain caused by loss and being uprooted. We wish to create a space in which experiences can be felt jointly and can be shared and witnessed. The memory of our connection to the source and to what is greater than us creates hope of an inner home and a way home. This workshop can provide space for a healing impulse. Anna Oppermann is the initiator and founder of “körper als heimat – embody your soul,” a practice for female self-development. She is a certified social worker, Advanced Bodybliss® movement teacher (in line with Continuum Movement), dance instructor “Heilende Kräfte im Tanz®” [Healing Powers in Dance], facilitator of Schoßraum® [Womb Space] and health practitioner BfG for female Sexuality (DGAM). “Nurturing the female and finding home in oneself and in life” – this was Anne’s heart’s desire when she set out more than 25 years ago. She sees her work as soulful body work or, the other way around, as embodied soul work. Here, entry gateways are created for inner, sensual experience, and spaces are opened to explore experiencing the body from within. She has developed a spiral path in which she accompanies women on their journey toward coming home sensually in their bodies and developing their female presence. Healing the female and reconnecting with the experience of being embedded in the encompassing, everlasting continuum of life are especially close to her heart. Together, we immerse ourselves in the infinite expanse of the inner, liquid realm of our bodies. Breath, sounds, flowing spiral and wave movements, as well as the so-called micro-movements – small, fine, gentle movements – accompany us. In this way we promote and refine our ability to experience sensuously. Blockages melt away, tensions are relieved, and energies start to flow. We become soft, supple and alive. We can feel our deep connection with the original, creative force that has brought us to life. We come home in who we are, deeper and deeper – at home in ourselves; at home in the world. For Gary Joplin, – professional choreographer, dancer and stage director, as well as instructor for dance, yoga, and Gyrokinesis® – the body is the central focus of his work. Aside from supporting Thomas Hübls’ work at various workshops and in the Timeless Wisdom Trainings, Gary leads workshops in Europe, Israel, China and the USA in body – mind awareness and development. His work cultivates the synchronization of the physical body with the subtle and emotional bodies in a deeply embodied and creative way. He is also a guest faculty member of the School of Life in the Netherlands. His creative work as a stage director and choreographer has been presented in the Karlsruhe State Theater, Heidelberg Theater, The Bern Symphony Orchestra, Theater im Marienbad and Theater Freiburg, where he has directed and choreographed numerous productions from youth projects to musicals for the opera over the past 12 years. Gary combines his work as a healer and a theater artist in a profound way, bringing greater awareness and self-reflection for both the performers and the viewing audience, inviting them into a ritualistic space where emotional expansion is possible. This expresses itself in theater productions with youth as well as working with people with Parkinsons and cancer. 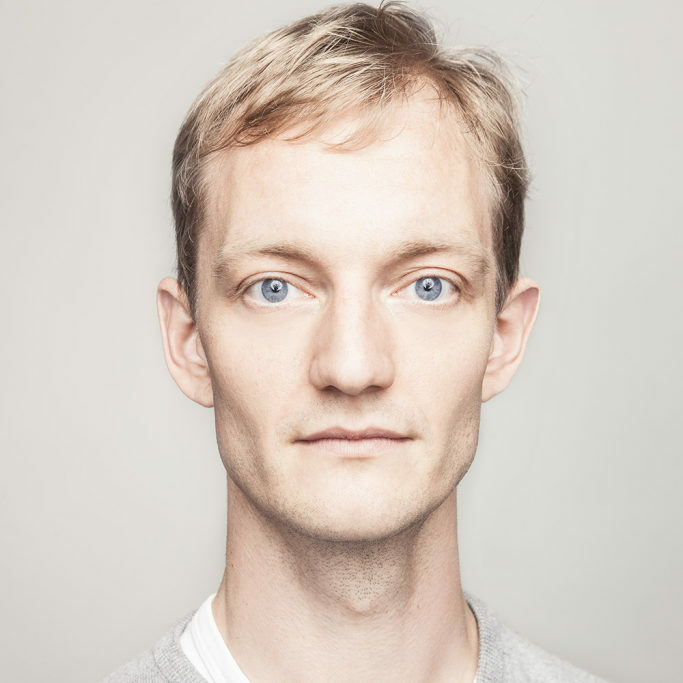 His most recent piece deals with the emotional epigenetic inheritance from our ancestors, and received the German national youth dance prize in Berlin. The Body-Mind Awakening Training from Gary Joplin is a daily invitation to deepen the connection between the physical, mental and energetic bodies, and an opportunity to more deeply ground and then open the body, both physically and energetically. Flowing, harmonious movement sequences supported by conscious breathing patterns are combined in a playful, organic way, allowing the body to simultaneously become more deeply grounded and to expand. This work is based primarily on the principles of Gyrokinesis®, but also utilizes wisdom from yoga, Feldenkreis, and various dance forms. It is a great preparation for the morning meditation, as it not only fine-tunes the physical body, but also brings a heightened awareness to the subtle energy body while focusing and quieting the mind. Participants will leave the class feeling more grounded and alive with a new-found lightness and sense of bodily expansion. Since the age of 5 Daniel Brinitzer is studying martial arts. He qualified as physical therapist and completed a 4-year yoga teacher training in the tradition of the Kaivalya Dhama Institute (Lonavla India) which certifies him as BDY/EYU yoga teacher. He combines the yoga tradition with his anatomical-functional knowledge to an Integral Hatha Yoga Practice. For over 15 years now, his focus is mainly on teaching and practicing yoga, as a lecturer & teacher in yoga teacher trainings, as instructor for groups and in individual (therapeutical) sessions. 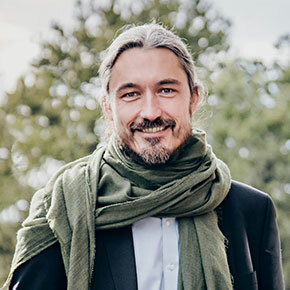 He is co-founder of Moksha (www.moksha-dresden.de), a place for a new We-culture, a center for integral life practice, where he in addition to the yoga also works as practice group leader for „transparent communication“. What happens when traditional Yoga meets western knowledge? A synthesis of deeper functional anatomical understanding and practical experience of the body. Meet the complexity of your body bit by bit. Learn to connect bodyparts in a new more vital and creative way. Create new exterior and interior space. Experience yourself more clearly and precisely connected to your body! 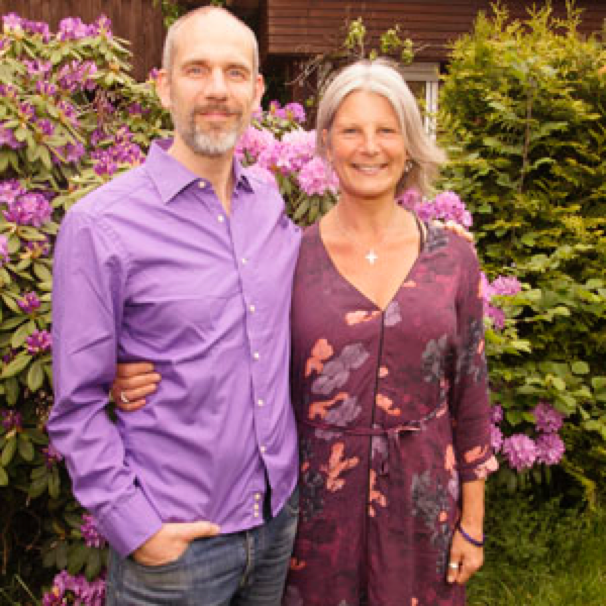 Belinda James and Martin Bruders are the presenters of this years Celebrate Life Festival. Belinda James is originally trained as an actor in the UK and worked for many years in British theatre, including four years as a leading actress at Shakespeare’s Globe Theatre in London. She joined the company Olivier Mythodrama in 2003 bringing Myth/Shakespeare to the world of leadership and organizations, she is now a senior associate and an experienced program leader, facilitator and coach, delivering courses to a wide variety of global businesses. Her areas of expertise are communication and presence. She also has a keen interest in women and young women’s development. Belinda is also fully trained in PBSP- body-based psychotherapy. Having studied for 30 years in many fields of personal and spiritual development she has a keen interest in her own and others personal transformation. She has been studying with Thomas for six years now and after finishing the TWT4 training became an assistant and member of his Core Group. She has three children and lives in the Wiltshire countryside from where she and her husband also run an event centre, here she is developing her own and others work. 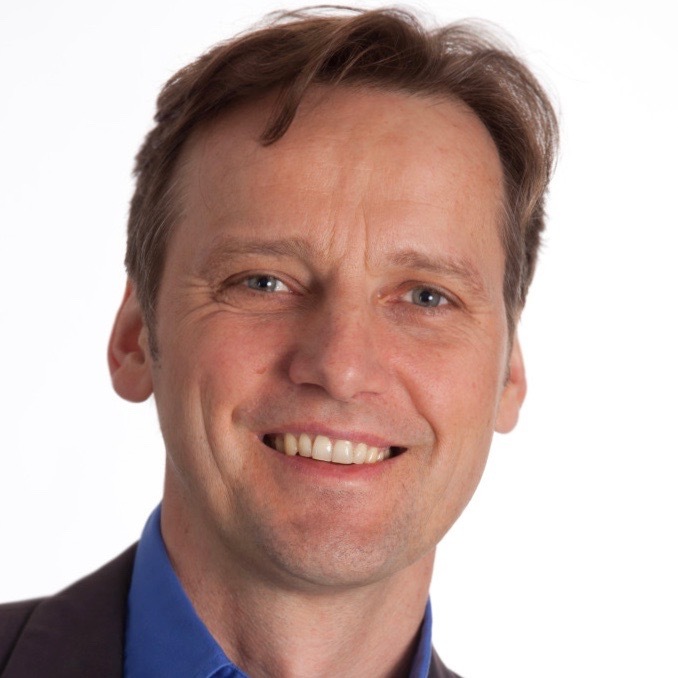 Martin Bruders is a graduate social worker, mediator and coach. He has worked for 28 years as a comedian and host of more than 2,000 company events in Germany, Austria and Switzerland. His inner journey is dedicated to his meditation practice as well as his daily life. He has been studying intensively with Thomas Hübl for 12 years and is a participant in his core group. He is especially touched, in a radical way, by the true embodiment of an increased intimacy and honesty from human being to human being and from human being to God. Today he is increasingly active as a speaker and seminar leader on topics of this kind, publishes podcasts and conducts silence retreats in the AIS program. He is the inventor of the We Transform Leadership Trainings and the head of the Integral Roadshow, an infotainment show about Ken Wilber’s integral model. He is also a co-founder of the Institute for Global Integral Competence (IfGIC) and innerplace.org – Berlin. Martin is the father of two grown-up children and lives in Berlin.